This is one of the most basic questions in Java. How do we take input and print output in Java. There are multiple ways to do so. Mostly everyone would use Scanner or BufferedReader for input and System.out.println and PrintWriter for output without considering it's use case. Programmers who appear for coding competitions will understand what I am taking about. How do you do IO operations define your efficiency in such competitions and you may end up getting what is known as TLE (Time limit Exceeded). So in this post lets discuss what should we use for IO when and why. Scanner is used for parsing tokens from underlying Stream. In above case we have given standard output stream (System.in) to the Scanner object. Scanner also can tokenize your stream based on a delimiter. In above case we have provided comma(',') as a delimiter. Default delimiter is space. As of Java 6 Scanner has a buffer size of 1024 characters. Also Scanner is not synchronized meaning it is not thread safe. So you should not use this when multiple threads are involved. Buffered Reader simply reads the Stream. As of java 6 BufferedReader has a buffer size of 8192 characters. BufferedReader is synchronized, so read operations on a BufferedReader can safely be done from multiple threads. Scanner parses the token from underlying Stream where as Buffered Reader simply reads the Stream. In fact you can pass BufferedReader (ReadableSource) to Scanner. As mentioned in above points BufferedReader has more buffer size (8192 characters) than Scanner (1024 characters). BufferedReader is faster than Scanner as Scanner parses the token after reading it. So if you notice in coding competitions programmers generally use BufferedReader than Scanner. Only drawback being you have to take care of input formats. For example if input is an integer you may have to do. Why wrap with BufferedReader ? Generally, each read request made of a Reader like a FileReader causes a corresponding read request to be made to underlying stream. Each invocation of read() or readLine() could cause bytes to be read from the file, converted into characters, and then returned, which can be very inefficient. Efficiency is improved appreciably if a Reader is warped in a BufferedReader. This may not seem to be such a big deal but it infact is. Use PrintWriter than using System.out.println as PrintWriter is faster than the other to print data to the console. The System.out variable is referencing an object of type PrintStream which wraps a BufferedOutputStream (at least in Oracle JDK 7). 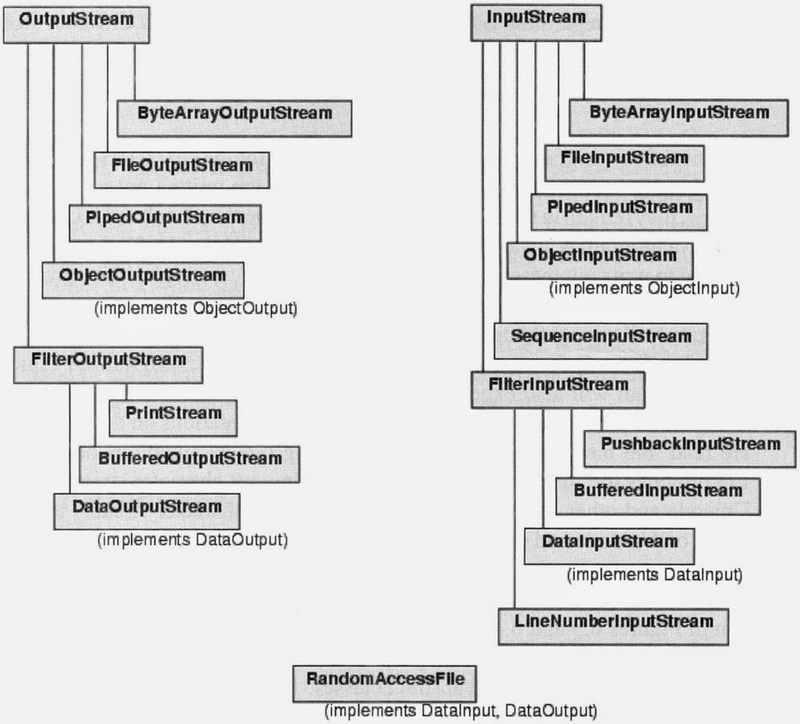 When you call one of the printX() or write() methods on PrintStream, it internally flushes the buffer of the underlying BufferedOutputStream. That doesn't happen with PrintWriter. You have to do it yourself. Alternatively, you can create a PrintWriter with an autoFlush property set to true which will flush on each write as I have done in example above. PrintStream is a stream of bytes while PrintWriter is a stream of characters. PrintStream uses platform's default encoding while with the PrintWriter you can however pass an OutputStreamWriter with a specific encoding. 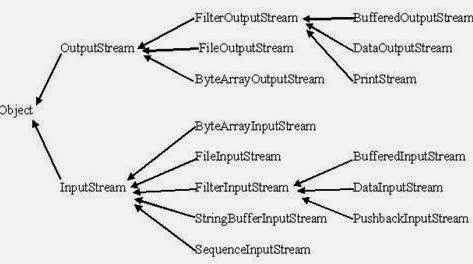 As mentioned above PrintStream methods internally auto flushes the underlying BufferedOutputStream. it will not cause auto flush. You will have to call flush explicitly. Assuming you know what REST or Restful APIs (GET, POST etc) are in this post we will cover how can we make these REST calls with Java program. 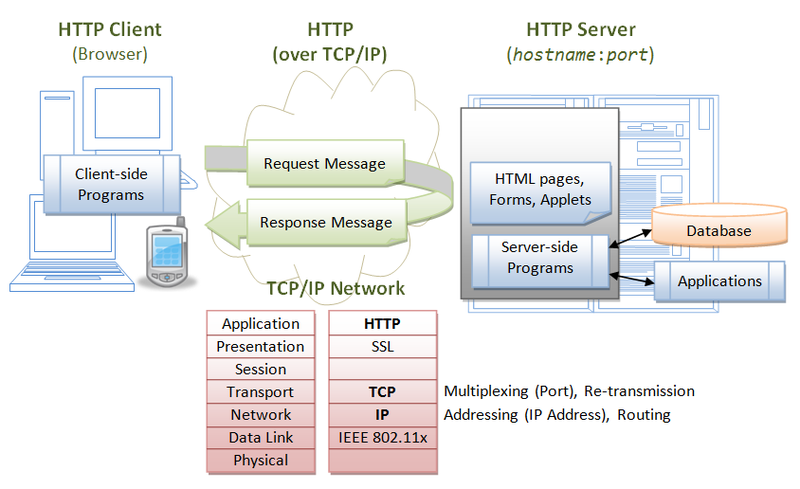 As the title of the post suggests the library that we are going to use is - Apache HttpClient. We need to include the Apache HTTP client library in the code. I always use Ivy as a dependency manager for my java programming. Note : Whenever you want to add any dependency in any dependency Manager like Maven, Ivy, gradle etc you can search the library in Maven Repository. Note : POST call will not return valid output (200 status code). We got 405 (method not allowed) for post request because POST is not a valid method type for URL http://www.google.com. It only accepts a GET request. Connection Timeout – Time to establish the connection with the remote host. Socket Timeout – Time waiting for response of a request – after the connection is established. Connection Manager Timeout – Time to wait for a connection from the connection manager/pool . 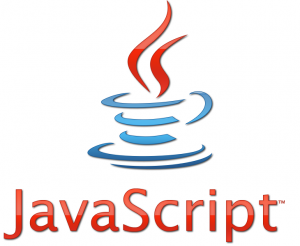 JCE has been integrated into the Java 2 SDK since the 1.4 release. 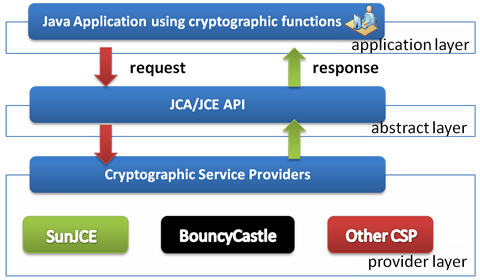 Below diagram shows a general overview of Java cryptographic architecture. What we are discussing in this post is related to JCE implementation provided by Sun/Oracle. Due to import control restrictions by the governments of a few countries, the jurisdiction policy files shipped with the JDK 5.0 from Sun Microsystems specify that "strong" but limited cryptography may be used. If you get this Exception there is nothing wrong that you are doing. It's just the restriction on the encryption key that comes built into the JDK. The reason for this is that some countries have restrictions on the permitted key strength used in encryption algorithms. An "unlimited strength" version of these files indicating no restrictions on cryptographic strengths is available for those living in eligible countries (which is most countries). But only the "strong" version can be imported into those countries whose governments mandate restrictions. The JCE framework will enforce the restrictions specified in the installed jurisdiction policy files. There have been multiple updates since Java 8 and 9. Before you dive down into more details review this section based on the Java version you are using. I have shown how to resolve this issue with various Java versions in the video below. The Unlimited Strength Jurisdiction Policy Files are included with Java 9 and used by default (see Security Updates in the Java 9 Migration Guide). See the crypto.policy Security property in the <java-home>/conf/security/java.security file, or Cryptographic Strength Configuration in the Java Platform, Standard Edition Security Developer's Guide. Starting with Java 8 Update 161, Java 8 defaults to the Unlimited Strength Jurisdiction Policy. If you receive this error, it could indicate the configuration has been changed to limited. See instructions in the next section on Java 8 Update 151, or the previous section on Java 9, for changing this back to unlimited. 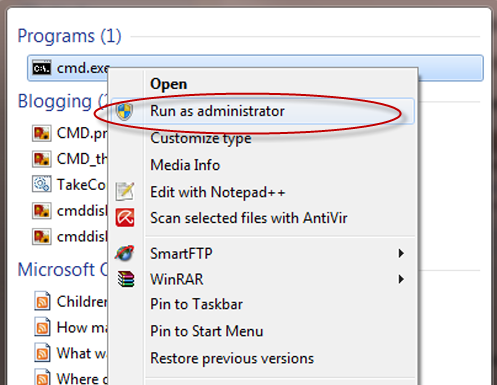 Make sure you edit the file using an editor run as administrator. The policy change only takes effect after restarting the JVM (this is especially important for long-running server processes like Tomcat). For backward compatibility, installing the policy files as documented in the next section will still work as well. You can remove the maximum key restriction by replacing the existing JCE jars with unlimited strength policy jars. Download the zip file extract the jars and replace them in your JDK/JRE. Note: These jars will already be present there so you will have to overwrite them. Then simply restart your java application and the Exception should be gone. Note 2: As the change of replacing policy files is in JDK itself you will have to do it in all your servers. Also, you will have to ask all your clients to do so. 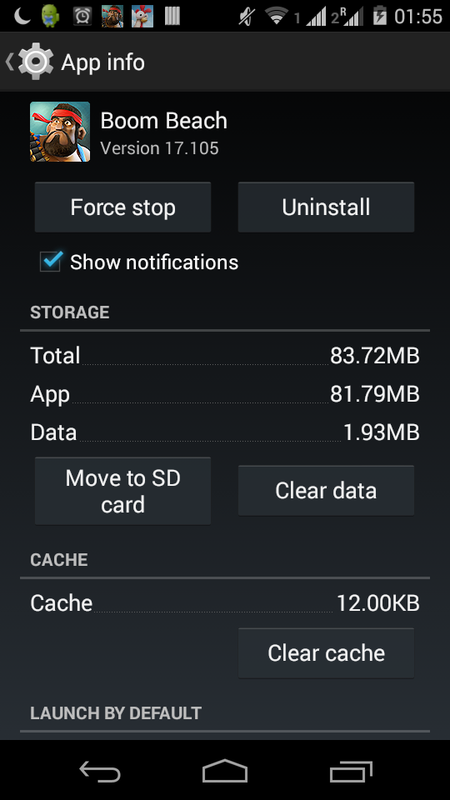 How to avoid installing “Unlimited Strength” JCE policy files when deploying an application? Java Security: Illegal key size or default parameters? If you are using Microsoft outlook as your Email client you would have noticed when you search from your Start button Outlook search results appear. Sometime it gets really irritating when we are searching for something specific and irrelevant outlook searches block the space. Outlook itself had very good search workflow integrated. My personal feeling is that we don't need it unless we are searching mails everyday from start menu. 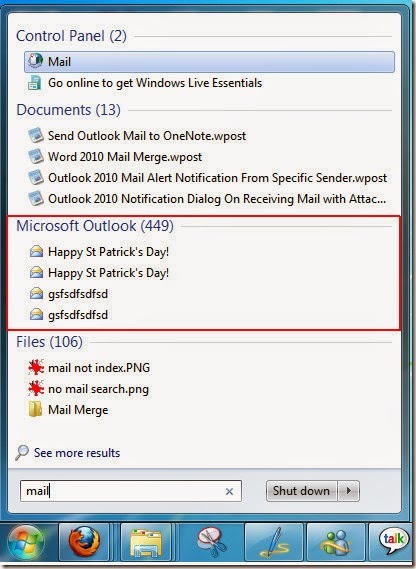 In this post we will see how we can remove outlook results from Windows 7 Start Menu search. Search for indexing options and click on it. Uncheck Microsoft outlook and press ok.
Close the indexing options box. Outlook searches should no longer appear in Win 7 start menu searches. One of the most powerful feature of Android phone according to my opinion is the ability to customize the phone as per your requirements. When you boot up your phone the home screen that you see and the multiple apps screens you see when you click on the Apps shortcut icon (also called apps drawer) together form the launcher. 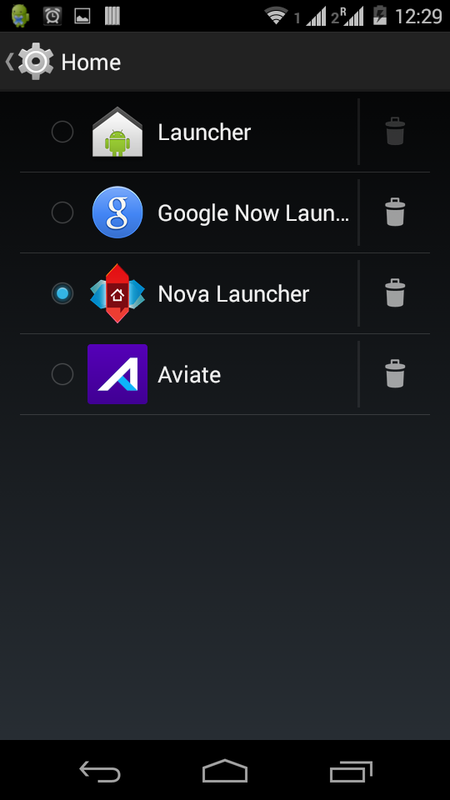 Each Android phone has a default launcher but there are multiple 3rd party launcher Apps available of play store. When people generally talk about "stock Android" their context is about the features provided by the original Android OS (default ones). 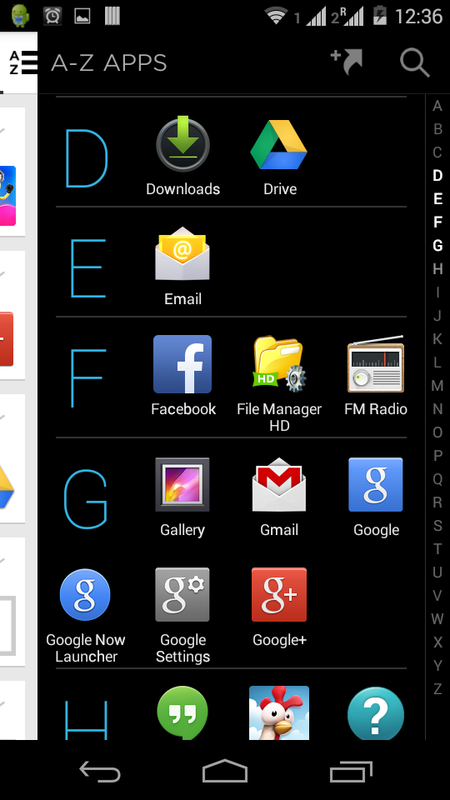 In this case it would be the default android launcher that comes with the OS provided by Google in the code. 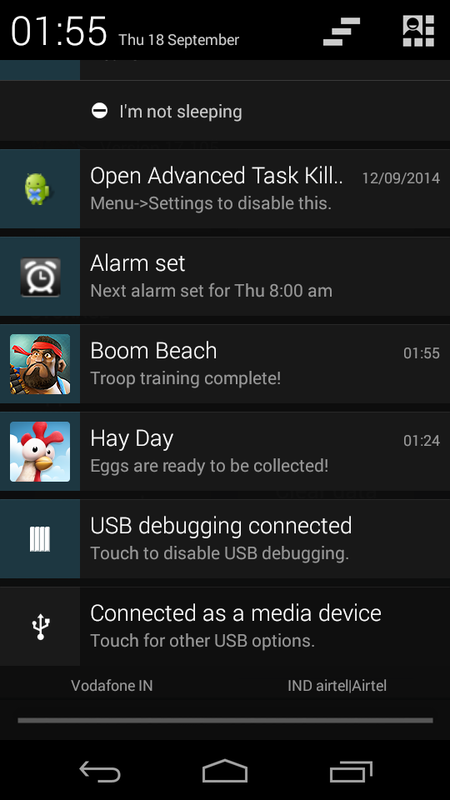 In this post we will see how can we change the launchers in Android. There are two ways in which we can change the launcher. For download and install the launcher you want. 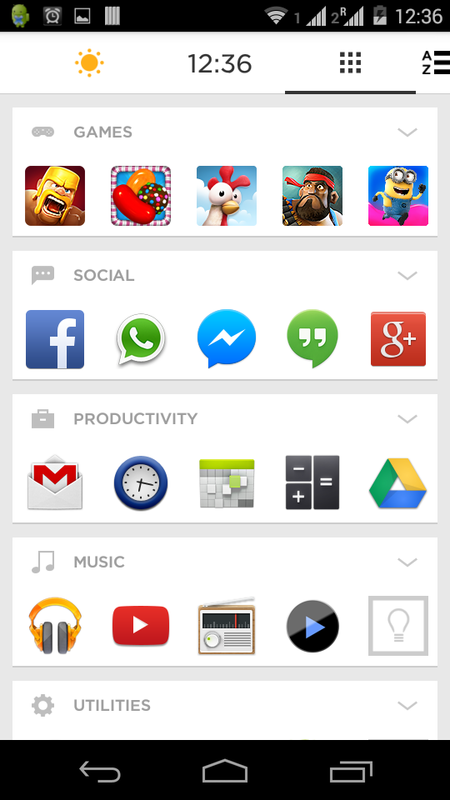 If you have not tried any launchers before pick one from the above list. Next go to Apps (Settings -> Apps -> Navigate to All Apps). 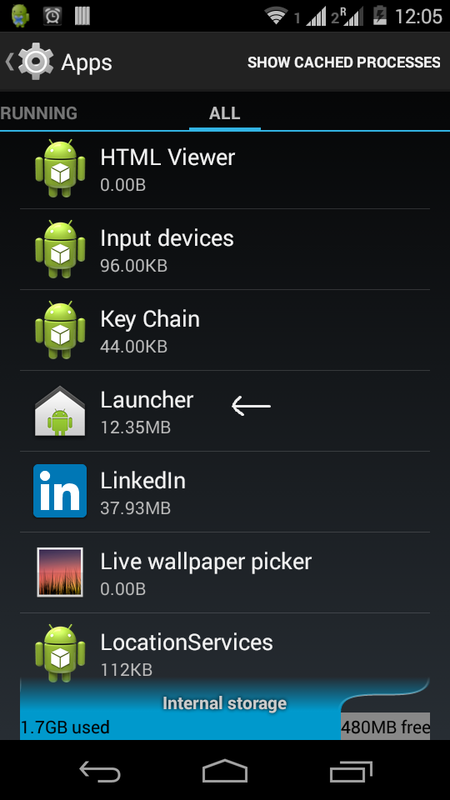 In this list find the Launcher App (the default one - as shown in the topmost screenshot). Tap on it. Tap on the Clear Default button. (If this button is greyed out take a look at Notes section below)This should clear your setting for default android launcher. 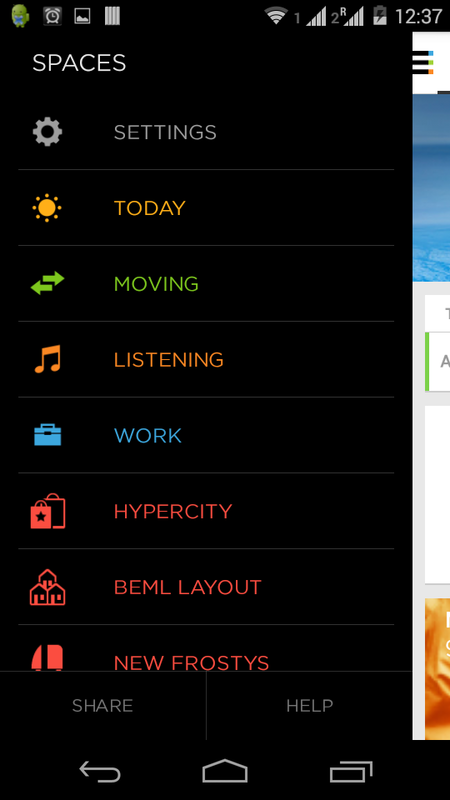 Next time you click on Home button you will see all the available launchers to select from. You can select the one you have installed. 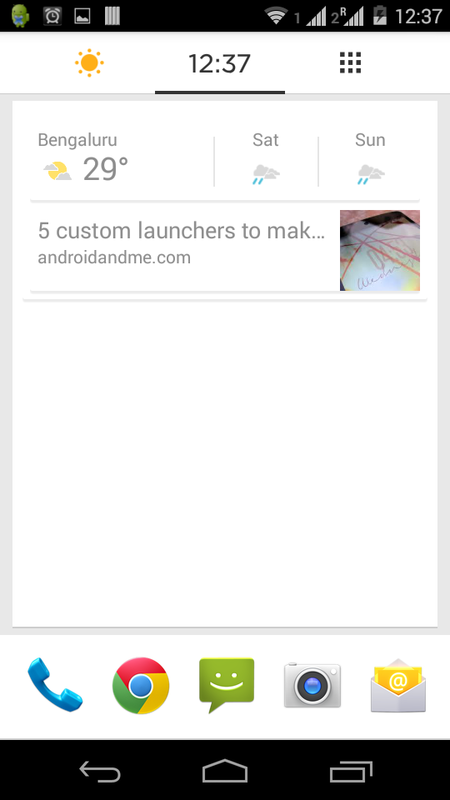 Again you will be prompted whether you want this launcher to be used Only once or Always. 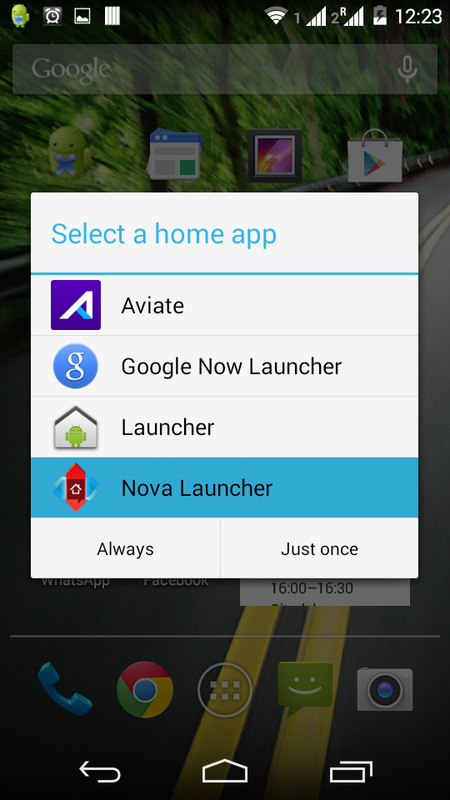 If you choose Only once you will be prompted to choose Launcher again next time you click on home button. If your Clear Default button is not clickable (greyed out) then it means either you have already chosen a non default launcher or you have not installed any launcher (All you have is default one). 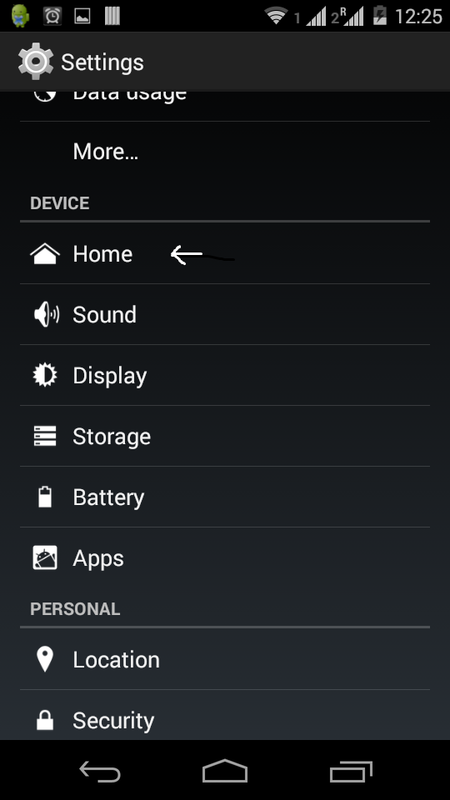 If you do not see Home category in Device section of your settings that means you have not installed a Launcher or have never changes it before. Try installing the Launcher. If even now Home is not visible change the launcher using the 1st way (Clear Defaults) and then on you should be able to see the Home Category. 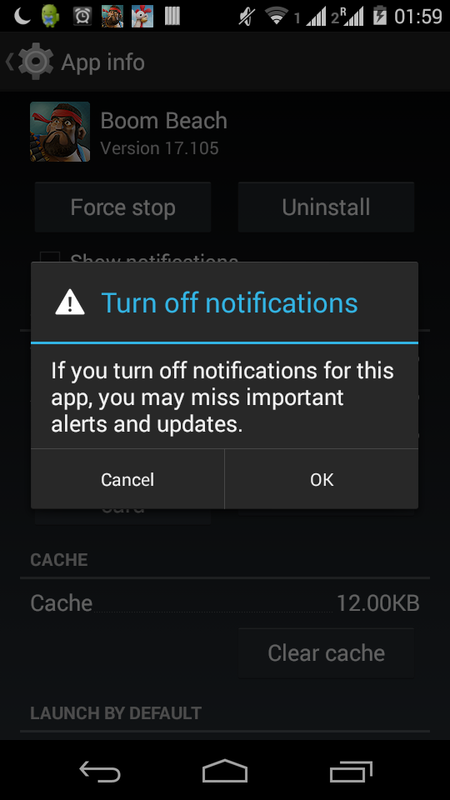 How to turn off notifications for individual android apps? 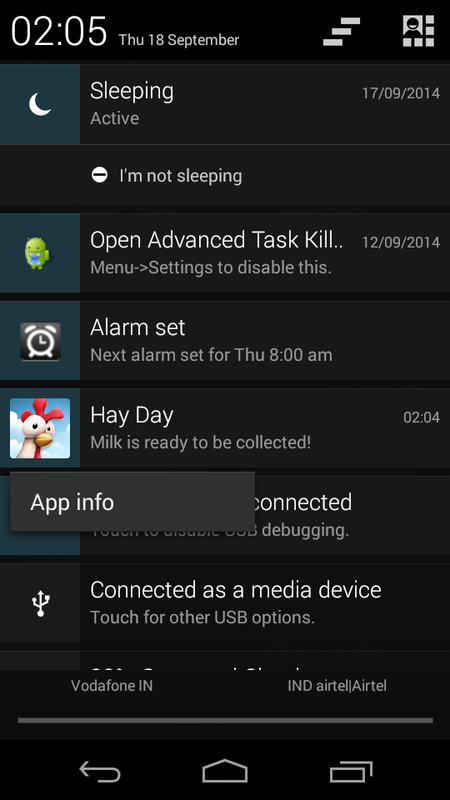 Notifications form a very important and integral part of Android operating System. They are used to notify user of various actions/updates. A very apt use case is our native email that we configure. Whenever we get a new Email or have a meeting in the calendar scheduled we should get a notification for the same which is what exactly happens. Developers of Android Apps code their app in such a way. But here's the problem. We as an end user do not wish to see all notification. For me I am a programmer as well as gamer. I like to try out new Apps including games. Recent ones that I tried include Clash of Clans, Boom Beach and Hay Day But I hate those gaming notifications that pop up. You are in office you get a notification alert. You expect it to be an important mail and it in-fact is some unwanted notification like your life/strength is full again . God.. I hate that moment! Under each application info screen there is now a checkbox for "show notifications" (assuming the app sends notifications). Uncheck that and no more notifications from that app should appear in your notification bar. When you get a notification you don’t want, pull down the notification bar, and hold down the notification until a box pops up that says “App info.” Tap that box. You will see the activity(screen) same as screenshot in step1. 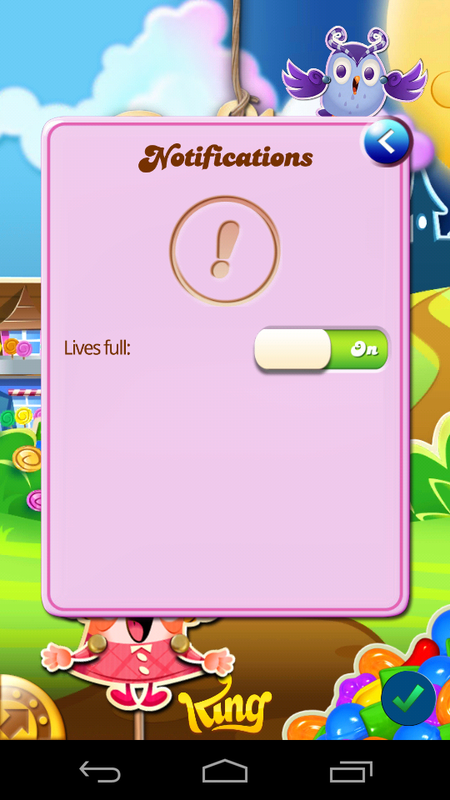 Note : Most apps, especially games, keep updating. When they update they turn the notifications on again. So you may have to repeat this process on each game update. I have tested with my apps and it seems to work fine. Do share your experiences with unwanted notifications and if you tried any other method (other than rating it 1 star and uninstalling it :) ). In older versions of Android than Jelly bean you are really at the mercy of programmer hoping that he/she has provided notification option in the settings. Most of you might already know HTML stands for HyperText Markup Language and is the standard markup language used to create web pages. HTML consists of elements. Most of the elements have stating and ending tag. For eg. <div></div>. Some don't need. For eg. <br />. You can read more about it on Wikipedia or w3schools. In this post I am going to cover what are basic blocks in a HTML. When block level elements are rendered in a webpage they generally begin and end with a new line. For example <ul>, <table>, <h1>, <p> tags. Inline elements comprise of tags that come inside(nested) block level element tags. For example <a>, <img>, <b>, <td>. Content model : Generally, block-level elements may contain inline elements and other block-level elements (Exception to this on paragraph/p tag). Generally, inline elements may contain only data and other inline elements. Inherent in this structural distinction is the idea that block elements create "larger" structures than inline elements. Formatting : By default, block-level elements are formatted differently than inline elements. Generally, block-level elements begin on new lines, inline elements do not. Below are some details on <div> and <span> elements which I have directly picked up from W3schools.I have used them a lot in web pages and JSPs but never knew the basic difference between them and their intended purpose. The HTML <div> element is a block level element that can be used as a container for grouping other HTML elements. The <div> element has no special meaning. Except that, because it is a block level element, the browser will display a line break before and after it. When used together with CSS, the <div> element can be used to set style attributes to large blocks of content. Another common use of the <div> element, is for document layout. It replaces the "old way" of defining layout using tables. Using <table> elements for layout is not the correct use of <table>. The purpose of the <table> element is to display tabular data. The HTML <span> element is an inline element that can be used as a container for text. The <span> element has no special meaning. When used together with CSS, the <span> element can be used to set style attributes to parts of the text. Nesting block level elements inside the <p> tag… right or wrong? The P element represents a paragraph. It cannot contain block-level elements (including P itself). You cannot use block level elements inside paragraph tag. Well no body stops you from adding it but here's what will happen - opening <div> or any other block level tag will automatically close the <p> element. Why <p> tag can't contain <div> tag inside it? Overloading and Overriding Methods in Java - How it works? Just to summarize (as far as java is considered) two methods are said to be overloaded if they have same method name but different method signatures. Also note method signature is the name of the method plus the number and types of arguments. Signature has nothing to do with return type. Also two methods cannot have same signature. are overloaded methods. Also note method overloading is a compile time phenomenon. Which method is to be used for execution is decided at compile time depending on the method signature. So foo(x,y) wold override foo(x) in above case. So if I call method as foo(1) and as per what I have written above foo(x,y) will overwrite foo(x) why is there no some kind of error or Exception ? and you call func1(1,2,3,4) then a=1(arguments), b=2(arguments),c=3(arguments) and you c(arguments). So as I said arguments inside round brackets are just to improve the functionality. In fact for above method you can also call it like func1(1,2) and in this case arguments c and d will be undefined. Following the same argument above you can have a function defined with no argument and call it with any number of arguments. So how do we resolve this issue ? If you have many such overloaded method consider using switch than just if-else statements. Yes SimpleFormController has been deprecated since Spring 3.0 but is still widely used. So in this post I am going to discuss the lifecycle or workflow of this controller. The controller receives a request for a new form (typically a GET). Call to formBackingObject() which by default, returns an instance of the commandClass that has been configured (see the properties the superclass exposes), but can also be overridden to e.g. retrieve an object from the database (that needs to be modified using the form). Call to initBinder() which allows you to register custom editors for certain fields (often properties of non-primitive or non-String types) of the command class. This will render appropriate Strings for those property values, e.g. locale-specific date strings. Only if bindOnNewForm is set to true, then ServletRequestDataBinder gets applied to populate the new form object with initial request parameters and the onBindOnNewForm(HttpServletRequest, Object, BindException) callback method is called. Note: any defined Validators are not applied at this point, to allow partial binding. However be aware that any Binder customizations applied via initBinder() (such as DataBinder.setRequiredFields(String) will still apply. As such, if using bindOnNewForm=true and initBinder() customizations are used to validate fields instead of using Validators, in the case that only some fields will be populated for the new form, there will potentially be some bind errors for missing fields in the errors object. Any view (JSP, etc.) that displays binder errors needs to be intelligent and for this case take into account whether it is displaying the initial form view or subsequent post results, skipping error display for the former. Call to showForm() to return a View that should be rendered (typically the view that renders the form). This method has to be implemented in subclasses. The showForm() implementation will call referenceData(), which you can implement to provide any relevant reference data you might need when editing a form (e.g. a List of Locale objects you're going to let the user select one from). Model gets exposed and view gets rendered, to let the user fill in the form. The controller receives a form submission (typically a POST). To use a different way of detecting a form submission, override the isFormSubmission method. If sessionForm is not set, formBackingObject() is called to retrieve a form object. Otherwise, the controller tries to find the command object which is already bound in the session. If it cannot find the object, it does a call to handleInvalidSubmit which - by default - tries to create a new form object and resubmit the form. The ServletRequestDataBinder gets applied to populate the form object with current request parameters. Call to onBind(HttpServletRequest, Object, Errors) which allows you to do custom processing after binding but before validation (e.g. to manually bind request parameters to bean properties, to be seen by the Validator). If validateOnBinding is set, a registered Validator will be invoked. The Validator will check the form object properties, and register corresponding errors via the given Errors object. Call to onBindAndValidate() which allows you to do custom processing after binding and validation (e.g. to manually bind request parameters, and to validate them outside a Validator). Call processFormSubmission() to process the submission, with or without binding errors. This method has to be implemented in subclasses. Above was the workflow as specified in the Spring documentation of AbstractFormController. 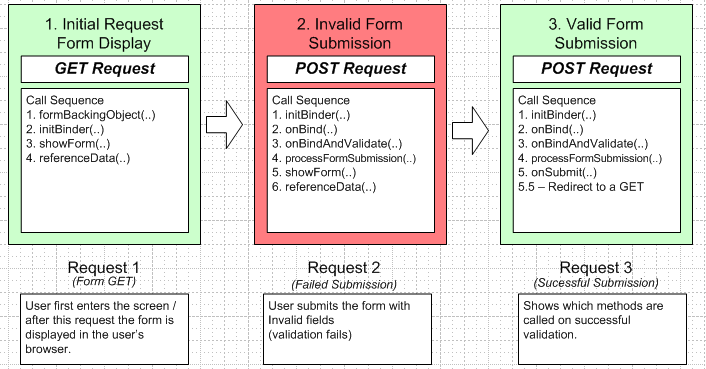 Note : If there are any errors in command object fields binding form will be reloaded (as shown in Request 2 of above diagram and after processFormSubmission(), showForm() and referenceData() are again called). onSubmit() is never called if this happens. isFormSubmission() : This method determines whether form is submitted (a POST request) or is for initial viewing (a GET request). This method is the base on which the two workflows of SimpleFormController are split. initBinder() : This method is called after the form command object is created and data binder is created by the controller. Developers can override this method to register custom PropertyEditor. isValidateOnBinding(): If this method returns true then the binding validations are performed. By default it is set to true and final. Only way to change it is through setValidateOnBinding() method. referenceData(): This method is used to provide reference data if any. Do not confuse it with formBackingObject() method where form Object is created. This method is used to provide any extra reference data that model may need to render UI page other that the command object. Whole model is then sent to the View set by formView property of the bean in dispacher-servlet.xml file. Form View will then be rendered (See above diagrams for reference).